Bucky Barnes believes in second chances. Having escaped death, the loss of identity, and a life of murder, the man known as the Winter Soldier has worked hard to atone for his sins. But now…he's going to go one step further. What do you do when you've found redemption? You help others do the same. From KYLE HIGGINS (Nightwing, Power Rangers, C.O.W.L.) and ROD REIS (SECRET EMPIRE, DOCTOR STRANGE: DAMNATION, C.O.W.L.) 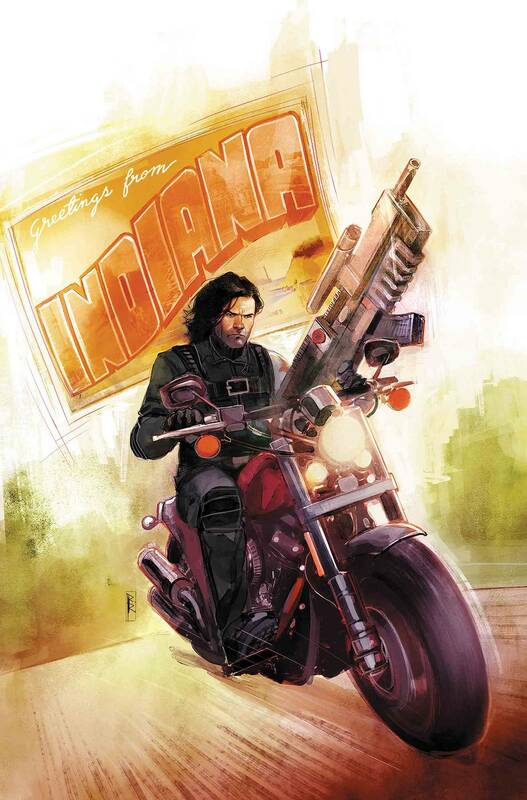 comes the next chapter in the saga of the Winter Soldier. He's becoming a 'fixer,' working to help others leave behind lives of crime. It's Bucky's way of channeling his own pain in a productive, personal way…by helping others find the redemption that he found. However, as Bucky is going to learn, not all paths are the same…and not everyone can be 'saved.' Rated T+.